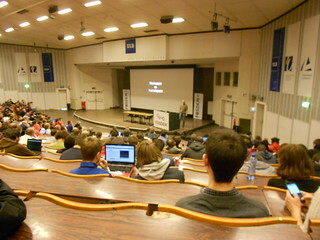 This story began at FOSDEM 2015, Bruxelles. Discussing with a friend of mine, it emerged that all of us, nerds and hackers, have side-projects, one-day-hacks, scripts and proof-of-concept to share. But often we do not because we miss a tool to do that. Many prefer to share using GitHub (or GitHub's Gist, or something similar). Other prefer a fully featured blog, to publish also some lenghty and detailed description to the code. This is my fully featured blog. Here will be my side-projects, one-day-hacks, scripts and proof-of-concept to share. Not so difficult, after all.